The Border Patrol is prioritizing a wall in Laredo’s urban center, despite the fact that illegal apprehensions are at historic lows. 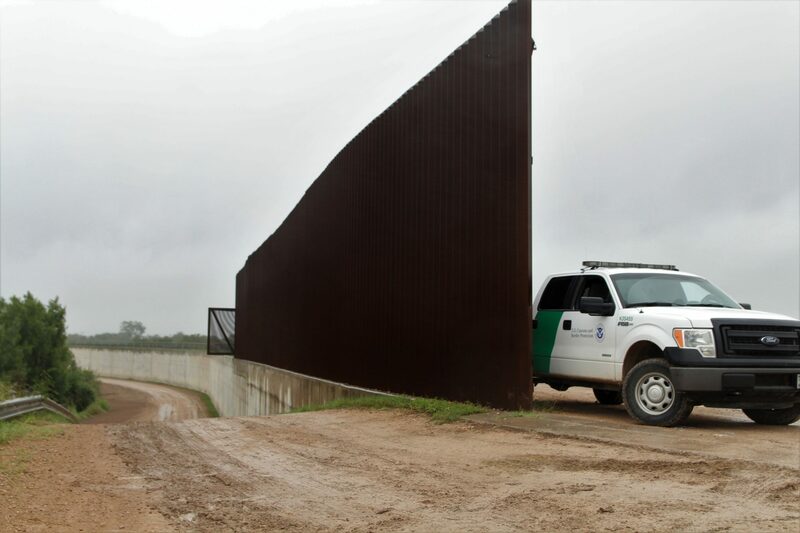 On Monday, U.S. Customs and Border Protection (CBP) planners will be in Laredo to begin assessing where to place a border wall within our South Texas community. At a State of the Border address on February 1, Felix Chavez, interim chief for the U.S. Border Patrol’s Laredo sector, presented information to justify the more than 130 miles of wall and fencing requested for Webb and Zapata counties. The agency believes that a permanent, impermeable barrier is necessary to meet its goal of “operational control.” Congress has yet to fund the proposed stretch, and the threat of another partial government shutdown is looming. To our dismay, we learned at the meeting that Chavez wants to specifically target Laredo’s urban center as a top funding priority for the wall. This is a position with which we fiercely disagree. This area includes downtown, the Laredo College campus, densely populated middle- and low-income residential areas, prime parks, trails and habitat for recreation, kayaking and birding, which have made Laredo and the lower Rio Grande Valley a major destination for ecotourists. Historical data on illegal apprehensions clearly indicate that there is no border crisis — despite such claims to justify construction of new barriers. The data shows that apprehensions for Laredo and the entire U.S.-Mexico border in 2017 were near all-time lows, not seen since the early 1970s. Last year, the number of illegal apprehensions was one-fourth of the total in 2000, when apprehensions peaked. As for illegal drug seizures, CBP data shows that more than 90 percent occur at the ports of entry, which indicates a wall would have little impact on drug trafficking. Historical data on illegal apprehensions clearly indicate that there is no border crisis — despite such claims to justify construction of new barriers. Meanwhile, our government has waived a raft of regulations for wall construction in the Rio Grande Valley, dismantling protections for our biodiverse vega (river floodplain) and putting at risk the only source of drinking water for the region’s 6 million people. In waiving the Clean Water Act, Safe Drinking Water Act, Clean Air Act, Solid Waste Disposal Act and at least 20 other environmental laws, the Trump administration threatens the health and safety of millions of Americans and Mexicans who live along the banks of this river. Today’s border situation is complicated by changing demographics. In the past, migrants were overwhelmingly single men from Mexico. Now, 78 percent come from countries other than Mexico, and family units and unaccompanied minors make up 60 percent of illegal apprehensions. Contributing factors include violence and poverty in Guatemala, Honduras and El Salvador propelling migrants northward to legally seek asylum; an overloaded court system; and detention policies that complicate crossings at legal points of entry, creating incentives to cross between the ports. Today’s border situation is complicated by changing demographics. This is a dramatic shift in migration patterns, and one Border Patrol facilities aren’t designed to handle. A wall does not address these deeply rooted factors and therefore will not resolve the migrant situation at the border. Therefore, we urge our congressional leaders to budget zero dollars toward the wall so that security funds are better spent on more urgent and pressing measures: Increasing staff and upgrading technology at and between our ports of entry. propose policy changes to help resolve the factors that drive migrants from their countries. The consequences of constructing a wall in Laredo’s urban center would devastate our landscape, ecology, cultural heritage and quality of life. Flooding could significantly increase in our lower-lying sister city, creating a wreckage whose risk will not even be addressed because of the dismissal of construction regulations. Hundreds of wildlife species rely on river access for their survival. Relocating millions of dollars’ worth of city infrastructure located near the river’s edge illustrates real world costs of implementation. We cannot support this wall, especially when the Border Patrol’s own data contradict its conception, and the historically low apprehension rates clearly show that there is no new border crisis. To imperil this natural landmark and American Heritage River — the sole source of drinking water for millions of people — with an unjustifiable wall for political posturing is an outrage. Laredo is a historic community in the South Texas borderlands. Its lifeblood, the Rio Grande, has always been its No. 1 asset since our community’s founding 264 years ago. We cannot support this wall, especially when the Border Patrol’s own data contradict its conception, and the historically low apprehension rates clearly show that there is no new border crisis. The Rio Grande continues to rank as one of the 10 most endangered rivers in the world. Every effort must be made by our federal government to protect and preserve it — not to destroy it and the wildlife, drinking water and dynamic communities that it sustains. The Rio Grande International Study Center, founded in 1994, is an environmental advocacy group based in Laredo, Texas. Melissa R. Cigarroa is the Board President and Tricia Cortez is the Executive Director.